One thing I was surprised in Fisher’s How to Cook a Wolf was a lack of any mention of food waste. 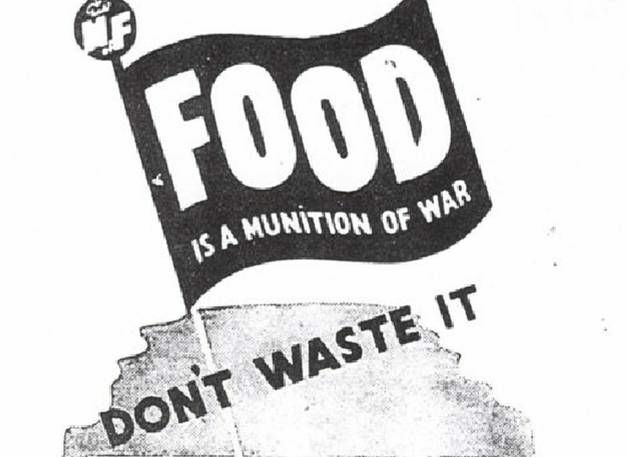 It seemed that she assumed that people during the war would use every last bit of food and not throw anything away, yet I’ve found war propaganda posters from that same period that seem to warn people not to throw food away. Perhaps she didn’t mention it for political reasons and didn’t want to feed the propaganda. However, I mention it here, because since the post-war economic boom, both food and consumer waste is a serious problem. Capitalist production requires us to buy, consume and throw products away in order for us to buy again and keep production going. There is always more to come, so there is no reason to save or try not to waste. The two works that I conclude with show the ease in which we consume and throw things away, forcing us to not only look at our actions, but to smell them as well. 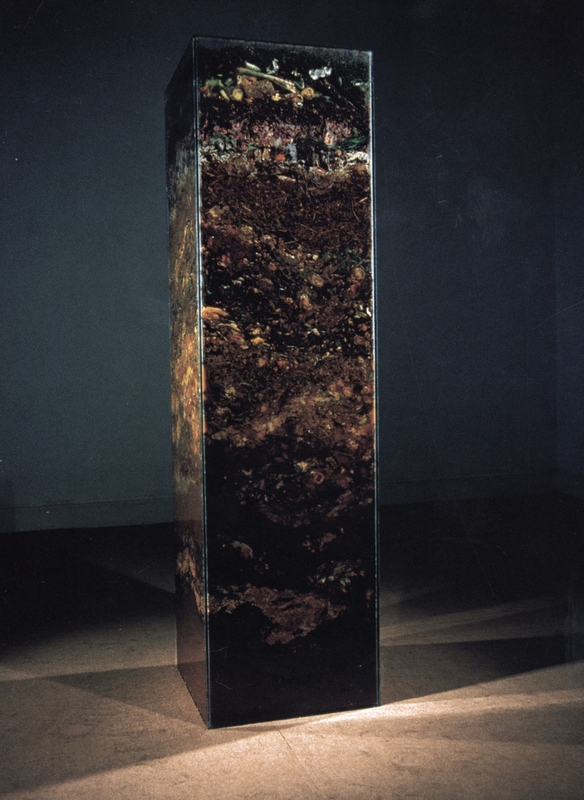 A perpex box filled with rotting compost was installaed in the Institute of Contemporary Arts in London and the smell increased as the exhibition wore on.